Zingiber officinale Roscoe has been used in traditional medicine for the treatment of neurological disorder. This study aimed to investigate the phenolic contents, antioxidant, acetylcholinesterase enzyme (AChE) inhibitory activities of different fraction of Z. officinale root grown in Vietnam. The roots of Z. officinale are extracted with ethanol 96 % and fractionated with n-hexane, ethyl acetate (EtOAc) and butanol (BuOH) solvents. These fractions evaluated the antioxidant activity by 1,1-Diphenyl -2-picrylhydrazyl (DPPH) assay and AChE inhibitory activity by Ellman’s colorimetric method. Our data showed that the total phenolic content of EtOAc fraction was highest equivalents to 35.2±1.4 mg quercetin/g of fraction. Our data also demonstrated that EtOAc fraction had the strongest antioxidant activity with IC50 was 8.89±1.37 µg/mL and AChE inhibitory activity with an IC50 value of 22.85±2.37 μg/mL in a dose-dependent manner, followed by BuOH fraction and the n-hexane fraction is the weakest. Detailed kinetic analysis indicated that EtOAc fraction was mixed inhibition type with Ki (representing the affinity of the enzyme and inhibitor) was 30.61±1.43 µg/mL. Our results suggest that the EtOAc fraction of Z. officinale may be a promising source of AChE inhibitors for Alzheimer’s disease. One of the most common postoperative problems is nausea and vomiting. Although using some anesthetic materials has been considered as the mainstay of this phenomenon, the exact factors are not known. Because of several morbidities associated with postoperative nausea and vomiting (PONV), its prevention and treatment has been a challenge for physicians, so several drugs have been recommended for this purpose. Based on the documented antiemetic specificity of ginger, we evaluated and compared the effects of preoperative administration of ginger on PONV with ondansetron administration as the standard medication. The participants included 100 patients with cholelitiasis who were candidate for laparoscopic cholecystectomy. Patients were divided into two groups: group A comprised 50 patients who received 500 mg oral ginger 1 h before surgery, and group B included 50 patients who received 4 mg intravenous ondansetron before completion of surgery. Antiemetic efficacy was assessed by visual analogue scale scores of nausea intensity at 0, 4, 8, 16, and 24 h after surgery and frequency of vomiting during the evaluation period. Although multifactor analysis showed that nausea severity was significantly lower in the ginger group, the data indicated that except 16 h after operation, the differences between two groups in the frequency of vomiting was not significant. In conclusion, though complementary studies are needed to have a strong suggestion, based on this study, we recommend administration of oral ginger 1 h before operation to control the severity of PONV in patients undergoing laparoscopic cholecystectomy. Ginger (Zingiber Officinale Roscoe) is a plant that is used as a popular spice in foods, desserts and drinks all around the world. This plant is native to Asia and has been used since ancient times in the prevention and treatment of many diseases. To date, several properties of ginger such as antioxidant, anti-inflammatory and anticoagulation activities have been studied and the effect of the plant to reduce pain and improve nausea and vomiting has been established. Among human and animal studies that have been carried out in recent years on the properties of ginger, some literature aimed to investigate the effect of this plant on blood lipids. In this review, we consider those studies and their possible enzymatic and molecular mechanisms regarding the effect of ginger on lipid profiles. This paper aimed to address the question of whether ginger has a reducing effect on blood lipids. Therefore, we discussed relevant human studies on this effect and the possible explanatory mechanisms. In the cited clinical trials, different doses of ginger powder (range 13 g) in different time periods (range 45 days–12 weeks) were used. According to our literature findings regarding the effect of ginger consumption on lipid profile, it seems that ginger can be considered as a valuable ingredient for modifying blood lipids, especially in diabetic patients. This probable property might be due to its effective antioxidants, including gingerols and shogaols. However, because of the lack of clinical trials in this field, it is necessary to conduct further human studies that examine the use of various amounts of ginger during a longer period of time. Also, other experimental human studies to characterize the possible mechanisms of the effect of ginger on blood lipids are recommended. BACKGROUND:Tuberculosis (TB) has reemerged to become the world's leading cause of death from a single infectious agent. Inflammatory cytokines play an important role during the course of the disease and may be responsible for tissue damage by lipid peroxidation. 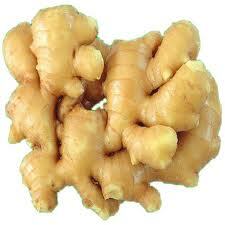 The study was aimed to explore the anti-inflammatory and antioxidant effect of ginger in pulmonary TB patients. METHODS:A total of 69 pulmonary TB patients participated in a randomized and placebo-controlled study. The intervention group received 3 g of ginger extract daily for 1 month and placebo group was supplemented with starch capsule. Participants of both groups were taking standard antitubercular treatment during the study. The concentrations of tumor necrosis factor (TNF) alpha, ferritin and malondialdehyde (MDA) in blood samples were analyzed before and after the intervention by using enzyme-linked immunosorbent assay for TNF alpha and ferritin and spectrophotometry for MDA. RESULTS:Ginger supplementation significantly reduced the levels of TNF alpha, ferritin and MDA in ginger supplemented group in comparison to baseline. Ginger supplementation with antitubercular treatment significantly lowered TNF alpha, ferritin and MDA concentrations in comparison to control group. CONCLUSIONS:Ginger was found to be effective as an anti-inflammatory and antioxidant supplement along with anti-TB therapy as it possesses strong free radical scavenging property. Ginger (Zingiber officinale Roscoe) prevents the development of morphine analgesic tolerance and physical dependence in rats. Darvishzadeh-Mahani F1, Esmaeili-Mahani S, Komeili G, Sheibani V, Zare L.
Ginger (Zingiber officinale Roscoe), a well-known spice plant, has been used traditionally in the treatment of a wide variety of ailments such as opiates withdrawal-induced disorders. However, its influences on opioid tolerance and dependence have not yet been clarified. MATERIALS AND METHODS: Adult male Wistar rats were rendered tolerant to analgesic effect of morphine by injection of morphine (10 mg/kg, i.p.) twice daily for 8 days. To develop morphine dependence, rats given escalating doses of chronic morphine. To determine the effect of ginger on the development of morphine tolerance and dependence, different doses of ginger were administrated before morphine. The tail-flick and naloxone precipitation tests were used to assess the degree of tolerance and dependence, respectively. RESULTS: Our results showed that chronic morphine-injected rats displayed tolerance to the analgesic effect of morphine as well as morphine dependence. Ginger (50 and 100 mg/kg) completely prevented the development of morphine tolerance. In addition, concomitant treatment of morphine with 100 and 150 mg/kg attenuated almost all of the naloxone-induced withdrawal sings which include weight lose, abdominal contraction, diarrhea, petosis, teeth chattering, and jumping. In addition, morphine-induced L-type calcium channel over-expression in spinal cord was reversed by 100 mg/kg ginger. CONCLUSION: The data indicate that ginger extract has a potential anti-tolerant/anti-dependence property against chronic usage of morphine. Background Consumption of chronic morphine induces neuro-inflammation and addictive seeking behavior. Ginger (Zingiber Officinale Roscoe), a well-known spice plant, has been used traditionally in the treatment of a wide variety of ailments. It has been shown that ginger has anti-inflammatory, anti-oxidative and antinociceptive properties. However, its influences on morphine-induced addictive behaviors have not yet been clarified. The aim of the present study was the inhibition of exploratory behavior of morphine addiction in the conditioned place preference test in male desert rats through ginger. Methods For conditioning to the morphine, the male Wistar rats received morphine (12 mg/kg intraperitoneally or i.p.) for 6 consecutive days and treatment groups were given different doses of ginger (25, 50 and 100 mg/kg intragastrically or i.g.) 30 min before morphine injection. For investigating addictive seeking behavior, conditioned place preference test (CPP) was used. Findings Our result demonstrated that injection of morphine for 6 days induces dependency to morphine and creates addictive seeking behavior and ginger (100 mg/kg) could decrease time spend in conditioning box (addictive seeking behavior). The main result of this study is that the supplementation with ginger and artichoke extracts is efficacious in the short-term treatment of FD. This effect appears to be statistically significant when compared to placebo. It is interesting to note that the efficacy appears quickly, that is, within 14 days, and afterwards it is maintained until the 28th day of intervention. The intervention group shows treatment efficacy in 86.2% of cases after 28 days of supplementation, with marked reduction of dyspepsia intensity (grades 2 + 3 of the considered scale) in 63.1% of the treated cases, while only 52.5% of the control group patients showed a positive effect of placebo and only 24.6% of the placebo treated patients had a marked reduction of symptoms (grades 2 and 3). Our results show the advantage of the supplementation, as compared to placebo, with a significant amelioration of 0.85 units on the MCA severity scale (of range 0–3) at 14 days. This result is adjusted for baseline symptoms and typologies of dyspepsia, and it persists until the end of the study (28th day). On raw data, the percentage difference between the intervention product and placebo approached 34%. This therapeutic gain is greater than what has been observed in previous studies with antisecretory and gastrokinetic drugs , as well as with artichoke extracts : in all these cases the advantage was in the range of 15%. Therefore, it seems that the association between ginger and artichoke extracts may increase the treatment efficacy on FD as compared to what was observed with artichoke extract alone or with antisecretory and gastrokinetic drugs. The mechanisms involved in the pathophysiology of FD are multifactorial. As a matter of fact, a number of potential abnormalities have been reported in patients with FD including impaired fundic accommodation, gastric hypersensitivity to distention, abnormal duodenojejunal motility, duodenal motor and sensory dysfunction, duodenal hypersensitivity to lipids or acid, and Helicobacter pylori infection . In the present study the highest prevalence of FD subtype was represented by dysmotility-like FD and unspecified FD, while ulcer-like FD was present in very few cases of both the intervention and placebo groups, as shown in Table 1. Therefore, a prevalence of symptoms related to motility disorders was observed in the recruited patients. Most studies in animals have demonstrated that ginger root extracts increase gastric emptying and gastrointestinal transit . Micklefield et al. demonstrated a significant increase of the interdigestive motility after intervention with ginger extracts and Wu et al. showed that ginger accelerates gastric emptying and stimulates antral contractions in healthy volunteers [11, 26]. Animal emesis models likewise have shown reduced emesis with the administration of ginger. Gingerols and shogaols seem to be the active components . -gingerol, -gingerol,  -gingerol, and -shogaol have been shown in several experimental models to modulate with a differentiated potency all these receptors. In particular, the capacity of ginger to reduce nausea and eventually vomiting seems to correlate with the effectiveness of these active ingredients to weakly inhibit M3 and 5-HT3 receptors. On the contrary, 5-HT4 receptors, which also play a role in gastroduodenal motility, do not seem to be involved in the effects of these compounds [11, 12]. Artichoke leaf extracts (ALE) have been used since long time, in traditional medicine, to treat dyspepsia and in 2003 Holtmann et al. confirmed this effect in patients with FD. ALE increase bile flow and exert hepatoprotective , serum cholesterol lowering , and antioxidant and antispasmodic effects [30–32]. The bitter compounds of ALE and particularly cynaropicrin are responsible for the digestive beneficial effects [33, 34]. Holtmann et al. showed that ALE were significantly better than placebo in reducing symptoms and improving the disease-specific quality of life in patients with functional dyspepsia. Anyhow the present study shows that the association of ginger extracts and ALE increases the efficacy on functional dyspepsia treatment with a 16.9% advantage as compared to the data found by Holtmann et al. with ALE alone. Of great interest appears the evaluation of the effect of ginger and artichoke supplementation on specific symptoms of functional dyspepsia. In this study the intervention was associated with a reduction of severity of epigastric pain, epigastric fullness, nausea, bloating, and early satiety: this decrease appears statistically significant for nausea and epigastric pain, over the observation time of 28 days. The only symptom which did not change was vomiting. On the contrary, in the placebo group, the statistical analysis shows that all symptoms have an increasing slope, which means an increase of symptom intensity with a statistically significant worsening for vomiting. Considering the entity of the efficacy on the secondary outcomes, the supplementation shows a greatest efficacy on nausea, followed by a positive effect on epigastric fullness, epigastric pain, and bloating, after statistical adjustment for type of dyspepsia. The effect on nausea and on epigastric fullness could mainly be due to the ginger component and to its activity on gastric motility: this confirms what was previously observed in other clinical settings such as in nausea associated with pregnancy, chemotherapy, and motion sickness [12,35–37]. The effects on bile secretion that have been found in previous trials with artichoke extracts  may partially contribute to our results. The increase in bile acid secretion, observed after supplementation with ALE, is suitable to accelerate gastrointestinal transit and thus may alleviate bloating and fullness. The well-known antispasmodic feature of ALE may also increase both effects . The treatment with the ginger and ALE supplement used in this study did not show any relevant side effect. This observation is of great importance when compared with the critical role of traditional prokinetic drugs such as domperidone, levosulpiride, or metoclopramide, frequently used in FD therapy. The treatment with these drugs is frequently associated with neurologic or endocrinologic side effects . In addition to this, a severe warning has been reported for domperidone treatment due to the sudden risk of cardiac death observed at doses of more than 30 mg per day in the elderly [40–43]. In conclusion, the association between ginger and artichoke leaf extracts appears efficacious in the treatment of functional dyspepsia and could represent a promising and safe treatment strategy for this frequent disease, even though additional studies are needed to confirm these results. Abstract: Anti-inflammatory action of ginger has been confirmed by various scientists, but there is very few review article published till date on inflammation associated diseases. Inflammation is mainly, culprit of anemia and inflammation associated disorder (like- Pulmonary diseases, Cardiovascular diseases, Diabetes Type-2, cancer, Arthritis, Alzheimer, Neurological diseases and Autoimmune diseases).Since Infection (bacterial/ viral), activate Nuclear factor –-κB, which is a major mediator of inflammation in most of the disease. Zinger has been established potent NF–ƙB inhibitory action via the suppression of pro-inflammatory cytokine, TNF-α and also provides a molecular link between the innate and adaptive immune system. This review takes the Zinger bioactive components, property, Chemical composition, Mechanism of action, function, side effects, current research and their potential application in modern medicine. The present study demonstrates that ginger showed broad spectrum action in which Anti-inflammatory action is one of them. So the present study concludes that ginger and its bioactive components have the potential for development of modern medicine in the treatment of anemia and various diseases in near future. Ginger: Is it Ready for Prime Time? On the basis of substantial preclinical data showing the preventive efficacy of ginger and its constituents in vitro and in animal models, as well as a phase I pilot trial indicating that ginger extract is well tolerated in humans, Citronberg and colleagues conducted a pilot trial of ginger extract (2 g/day for 28 days) on biomarkers of cell proliferation [human telomerase reverse transcriptase (hTERT), MIB-1], differentiation (p21waf1/cip1), and apoptosis (Bax, Bcl-2) in colonic mucosa from individuals at high-risk for colorectal cancer. Results from the trial suggest that ginger may reduce proliferation in normal-appearing colorectal epithelium and increase apoptosis relative to proliferation, especially in the differentiation zone of colon crypts. The authors suggest that these results support a larger study to confirm the pilot data. Before proceeding with a larger trial, however, it seems prudent to confirm ginger as a chemopreventive for colorectal cancer in animals, particularly when tested in postinitiation protocols and to identify reliable molecular biomarkers of effect that could be evaluated in clinical trials. Pharmacokinetic studies to examine the distribution and localization of ginger compounds and metabolites in the differentiation and proliferative zones of colonic crypts in animals and humans would also be informative. Finally, because the effects of ginger on normal colonic mucosa seem minimal, consideration should be given to the conduct of future trials in humans with premalignant colorectal disease. Saenghong N, Wattanathorn J, Muchimapura S, et al. Zingiber officinale improves cognitive function of the middle-aged healthy women. Evid Based Complement Alternat Med. 2012;2012:383062. doi:10.1155/2012/383062. Previous research has shown that women in middle age commonly suffer from cognitive decline; this affects attention, memory recall, and is also thought to correlate with age-related oxidative stress. Ginger (Zingiber officinale) rhizome has been used extensively in traditional medicine worldwide.1 Past in vivo animal studies by this team have shown that ginger may prevent brain damage and aid in memory,2 and others have shown that ginger has antioxidant activity. In this double-blind, placebo-controlled, randomized trial, ginger rhizome extract was assessed for the improvement of cognition in middle-aged women. Subjects included Thai women between 50 and 60 years old (average age was 53.40 ± 3.57 years) who were determined healthy by a physician. Subjects were excluded if they had histories of cardiovascular diseases, head injuries, diabetes, cancer, alcohol abuse, or smoked more than 10 cigarettes daily. Those taking any drugs or nutraceutical agents acting on the nervous system were excluded. The total women recruited were n=60, with n=20 randomized to each of the 3 treatment groups. Apparently, there were no drop outs in this study as this is not mentioned in the results. An extraction of dried ginger rhizome was prepared using 95% ethanol and was standardized to contain 7.33% w/w of the phenolic constituent 6-gingerol and 1.34% w/w of the phenolic constituent 6-shogaol. This material was manufactured by the Thailand Institute of Scientific and Technological Research; Pathum Thani, Thailand. Subjects were randomized to receive a capsule of either 400 mg of ginger extract, 800 mg of ginger extract, or matched placebo daily for 2 months. At baseline, all subjects were tested for cognitive functioning using standard progressive matrices (SPMs) and measured for cognitive ability after 1 month and 2 months of treatment. Compliance was assessed by interviewing subjects and counting leftover capsules. Subjects were also monitored for adverse side effects throughout the study. Cognitive functioning was assessed by measuring event-related potentials (ERPs). The amplitude and latency of the event potentials called N100 (thought to correspond to memory function, short-term memory, and attention) and P300 (representing recognition and processing of stimuli, among other cognitive functions) were measured with an electroencephalogram (EEG) as subjects were listening to and counting a series of tones. A standard tone occurred with an 80% frequency and a target tone played at 20% frequency. Subjects also completed cognitive tests including word presentation, picture presentation, simple reaction time, digit vigilance task, choice reaction time, spatial working memory, numeric working memory, delayed word recognition, and delayed picture recognition. These measured memory recall, reaction times, and short-term memory. There were no significant differences between baseline characteristics of any of the groups in the study. There were also no significant differences in the baseline ERP measurements of any of the groups; however, after 1 month of the study, the 800 mg group had a significantly greater N100 amplitude as compared to the placebo group (7.05 ± 1.19 vs. 5.65 ± 1.08, respectively, P<0.01). Following 2 months of treatment, significant increases were seen in the P300 amplitude as compared to the placebo group for both the 400 mg group (8.10 ± 1.16 vs. 7.20 ± 1.05, respectively, P<0.01) and the 800 mg group (8.40 ± 1.35 vs. 7.20 ± 1.05, respectively, P<0.01). Also, as compared to the placebo group, the 800 mg group showed a significant increase in N100 amplitude (6.90 ± 0.96 vs. 5.70 ± 1.07, respectively, P<0.001) and a significant decrease in P300 latency (321.35 ± 9.77 vs. 332.35 ± 8.99, respectively, P<0.001). Baseline measurements for the memory tests were not different between groups. After 1 month of treatment, those in the 800 mg group had a significant increase in accuracy as compared with the placebo group in both the choice reaction time (89.95 ± 8.26% accuracy vs. 81.70 ± 6.68% accuracy, respectively, P<0.01) and numeric working memory (82.40 ± 9.63% accuracy vs. 75.00 ± 10.43% accuracy, respectively, P<0.05) tests. In addition, after 2 months of treatment, there was a significant decrease in reaction time as compared to placebo in the word recognition test for both the 400 mg (1,120.67 ± 111.2 msec vs. 1,245.06 ± 165.89 msec, respectively, P<0.05) and 800 mg groups (1,099.67 ± 185.22 msec vs. 1,245.06 ± 165.89 msec, respectively, P<0.01). Those in the 800 mg group were also significantly improved as compared to the placebo group after 2 months of treatment in the delayed word recognition (84.89 ± 8.03% accuracy vs. 75.33 ± 8.94% accuracy, respectively, P<0.01), digit vigilance (48.40 ± 5.40% accuracy vs. 42.45 ± 8.744% accuracy, respectively, P<0.05), and choice reaction time (90.00 ± 7.82% accuracy vs. 80.55 ± 7.47% accuracy, respectively, P<0.001) tests. In addition, significant improvements were also seen for the 800 mg group as compared to the placebo group in the numeric working memory (85.00 ± 8.72% accuracy vs. 74.70 ± 10.54% accuracy, respectively, P<0.01), spatial working memory (71.77 ± 4.12% accuracy vs. 66.29 ± 4.59% accuracy, respectively, P<0.01), and choice reaction time (874.65 ± 50.59 msec vs. 961.30 ± 135.76 msec, respectively, P<0.05) tests. No adverse side effects were reported. These results suggest that ginger rhizome extract improves both attention and cognitive functioning in middle-aged women. In particular, the 800 mg dosage significantly improved both N100 and P300 amplitude as well as scores in the applied tests for attention and attention accuracy, and memory speed and quality. Possible mechanisms of action include potential effects of the extract or certain phenolic constituents in it on neurotransmitters such as serotonin and acetylcholine; this is described in prior studies. Also discussed is that the antioxidant activity of ginger may improve brain function. Although it is stated that the placebo was similar in "color, texture, size, and odor" to the ginger extract capsules, no mention was made of the contents. This is important to include as ginger has a distinct taste and odor that may be difficult to imitate or mask. Despite this, the positive results reported herein justify further investigation as to the biological mechanisms behind the improvement in cognitive function as a result of ginger extract supplementation. 1Blumenthal M, Goldberg A, Brinckmann J, eds. Herbal Medicine: Expanded Commission E Monographs.Austin, TX: American Botanical Council; Newton, MA: Integrative Medicine Communications; 2000. 2Wattanathorn J, Jittiwat J, Tongun T, Muchimapura S, Ingkaninan K. Zingiber officinale mitigates brain damage and improves memory impairment in focal cerebral ischemic rat. Evid Based Complement Alternat Med. 2011;2011:429505. doi: 10.1155/2011/429505. via Zingiber officinale improves cognitive function of the middle-aged healthy women. Background.-- Therapeutic needs of migraineurs vary considerably from patient to patient and even attack to attack. Some attacks require high-end therapy, while other attacks have treatment needs that are less immediate. While triptans are considered the "gold standard" of migraine therapy, they do have limitations and many patients are seeking other therapeutic alternatives. In 2005, an open-label study of feverfew/ginger suggested efficacy for attacks of migraine treated early during the mild headache phase of the attack. Methods/Materials.-- In this multi-center pilot study, 60 patients treated 221 attacks of migraine with sublingual feverfew/ginger or placebo. All subjects met International Headache Society criteria for migraine with or without aura, experiencing 2-6 attacks of migraine per month within the previous 3 months. Subjects had <15 headache days per month and were not experiencing medication overuse headache. Inclusion required that subjects were able to identify a period of mild headache in at least 75% of attacks. Subjects were required to be able to distinguish migraine from non-migraine headache. Subjects were randomized 3:1 to receive either sublingual feverfew/ginger or a matching placebo and were instructed but not required to treat with study medication at the earliest recognition of migraine. Results.-- Sixty subjects treated 208 evaluable attacks of migraine over a 1-month period; 45 subjects treated 163 attacks with sublingual feverfew/ginger and 15 subjects treated 58 attacks with a sublingual placebo preparation. Evaluable diaries were completed for 151 attacks of migraine in the population using feverfew/ginger and 57 attacks for those attacks treated with placebo. At 2 hours, 32% of subjects receiving active medication and 16% of subjects receiving placebo were pain-free (P = .02). At 2 hours, 63% of subjects receiving feverfew/ginger found pain relief (pain-free or mild headache) vs 39% for placebo (P = .002). Pain level differences on a 4-point pain scale for those receiving feverfew/ginger vs placebo were −0.24 vs −0.04 respectively (P = .006). Feverfew/ginger was generally well tolerated with oral numbness and nausea being the most frequently occurring adverse event. Conclusion.-- Sublingual feverfew/ginger appears safe and effective as a first-line abortive treatment for a population of migraineurs who frequently experience mild headache prior to the onset of moderate to severe headache. Reviewed: Ozgoli G, Goli M, Moattar F. Comparison of effects of ginger, mefenamic acid, and ibuprofen on pain in women with primary dysmenorrhea. J Altern Complement Med. 2009;15(2):129-132. Reviewed: Ozgoli G, Goli M, Simbar M. Effects of ginger capsules on pregnancy, nausea, and vomiting. J Altern Complement Med. 2009:15(3):243-246. Researchers from Iran recently conducted 2 trials to evaluate the safety and effectiveness of ginger (Zingiber officinale, Zingiberaceae) for treating female reproductive complaints. The first study compared ginger preparations to non-steroidal anti-inflammatory drugs (NSAIDs) for relieving dysmenorrhea (painful or difficult menstruation). The second study evaluated ginger as a treatment for nausea and vomiting during pregnancy. Dysmenorrhea is experienced by more than half of menstruating women. NSAIDs can be effective in relieving dysmenorrhea, but NSAIDs and other pain relievers commonly cause adverse side effects and are contraindicated in some people. Ancient medical texts refer to the use of ginger for relief of dysmenorrhea, but there are no published clinical trials to support its effectiveness. The researchers therefore conducted a study to compare the effects of ginger, mefenamic acid (a mild analgesic and fever-reducing NSAID used in some types of arthritis and for the relief of moderate short-term menstrual pain), and the NSAID ibuprofen on dysmenorrhea. For the non-randomized, double-blind trial, the researchers recruited 150 female college students who were 18 years or older and had primary dysmenorrhea. The women completed a questionnaire that assessed menstrual characteristics and severity of pain. Those with moderate to severe dysmenorrhea were enrolled in the study and alternately allocated to 1 of 3 groups: the ginger group, the mefenamic acid group, or the ibuprofen group. Depending on their assigned group, the women were instructed to take either four 250-mg capsules of ginger rhizome powder (Zintoma; Goldaroo Company; Tehran, Iran), four 250-mg capsules of mefenamic acid (Ponstan; Razak Co.; Iran), or four 400-mg capsules of ibuprofen (Brufen; Roozdaru Co.; Iran) each day, beginning on the first day of their menstrual period and continuing for 3 days. After the 3 days, the women rated the severity of their dysmenorrhea, the degree of pain relief, and their satisfaction with the treatment. Only one menstrual cycle was studied. All 150 women completed the study. There were no significant differences in baseline characteristics among the 3 groups. Dysmenorrhea severity decreased in all 3 groups (P values not reported) after 3 days. Severity of symptoms, improvement in pain relief, satisfaction with the treatment, and compliance with the capsules were not significantly different among the groups. None of the women reported any serious adverse side effects during the study. The authors conclude that ginger is as effective as mefenamic acid and ibuprofen in decreasing menstrual pain. They also point out certain limitations of this study. The study subjects were alternately assigned to an experimental group rather than randomly assigned; however, baseline characteristics were similar among subjects in all 3 groups, and there is no indication of bias in group assignments. The study did not compare the effect of ginger on other menstrual symptoms, such as nausea, headaches, and fatigue. The scale used to rate dysmenorrhea severity was a verbal, 4-point scale, and the authors suggest that use of a 10-point visual analog scale or other standardized scale may detect more subtle differences in response among the experimental groups. One issue the authors do not address is the dosage of comparator drugs used in this study. It is not clear if the doses selected for this study (1,600 mg ibuprofen and 1,000 mg mefenamic acid) are typical doses used for treatment of primary dysmenorrhea in the local population. In the United States, daily doses of 2,400-3,200 mg ibuprofen are commonly recommended for treatment of moderate or severe dysmenorrhea and may be more effective than the 1,600 mg dose of ibuprofen used in this study. The recommended dose for mefenamic acid is 1,500 mg per day. It is therefore unclear as to how much of a placebo-effect occurred in this study. It would have been better if a placebo group had been included for comparison. Another limitation is that the study was very brief; typically, dysmenorrhea studies are conducted over a 3 month period. In addition to correcting the limitations discussed by the authors, future trials should assess the safety and efficacy of ginger during several menstrual cycles, investigate a range of ginger doses, and include populations of women other than young college students. The second study assessed the effects of 1,000 mg of ginger administered in capsule form on the severity of nausea and vomiting in pregnant women. Up to 90% of women experience nausea and vomiting during pregnancy. Little is known about the safety of antinausea drugs during pregnancy, so some pregnant women turn to herbs or other complementary therapies for relief. Ginger has long been used to relieve stomach upset in the traditional medicines of many cultures. This single-blind, randomized, placebo-controlled trial was conducted at prenatal clinics and Isfahan Shahid Beheshti Hospital in Isfahan, Iran. Seventy healthy, pregnant women who were less than 20 weeks gestational age and who reported mild to moderate nausea with or without vomiting were enrolled in the trial. The women were randomly allocated to an experimental group or a matched control group. Women in the experimental group took four 250-mg capsules containing ginger root powder (Zintoma; Goldaroo Company; Tehran, Iran) daily for 4 days. Women in the control group took 4 placebo capsules containing lactose daily for 4 days. The women were instructed to take a capsule in the morning, at noon, in the afternoon, and at night. Before starting the study, women rated the severity of their nausea and vomiting using a 10-point visual analog scale (VAS). The women were instructed to avoid fatty foods and to eat smaller, more frequent meals during the study. The women completed a questionnaire each day and recorded the severity of their nausea on the VAS twice a day (at noon and at bedtime). On the fifth day, the women were interviewed by a researcher to assess compliance with the dietary instructions and capsule use. Of the 70 women who started the study, 67 completed the study (32 in the ginger group and 35 in the placebo group). There were no significant differences in nausea intensity between the 2 groups at baseline. Women in the ginger group reported significantly greater improvement in nausea than women in the placebo group (P < 0.05) during the 4-day trial. Nausea intensity declined in 84% of women in the ginger group and 56% of women in the placebo group (P < 0.05). The incidence of vomiting did not decrease significantly in the placebo group but decreased a significant 50% in the ginger group after 4 days (P < 0.05). None of the women reported any adverse side effects from the capsules. While compliance with the capsules was excellent in both groups, only about half of the women in each group reported complying with the dietary advice. The authors conclude that daily treatment with 1,000 mg of ginger is a safe and effective way to decrease the intensity of nausea as well as the incidence of vomiting during pregnancy. However, the authors’ conclusions that 1,000 mg is the appropriate dose cannot be asserted given that this study was not a dose-ranging study. Also, the authors’ conclusion that this dose is safe cannot be asserted since there has been no long-term, follow-up studies of the infants, and, given the small sample size, only very large changes in pregnancy outcomes would have been seen. The results of this study are consistent with 9 published randomized controlled trials, which have also evaluated the effectiveness of ginger for nausea and vomiting during pregnancy. In these trials, daily doses ranged from 1,000 mg to 1,500 mg and the ginger products included capsules containing ginger powder or ginger syrup, which is mixed with a beverage. The authors point out that the short duration of this trial is a limitation. Another limitation that the authors did not discuss is whether the study was adequately blinded. Ginger capsules have a distinctive odor and flavor and it is possible that the people taking the placebo were aware that they had the placebo treatment. This could have contributed to the study outcome. Future trials should assess the safety and effectiveness of ginger over a longer period of time, should improve study blinding, and enroll pregnant women with severe nausea and vomiting to expand the understanding of this herb’s effectiveness during pregnancy. Effect of Ginger on patients with functional dyspepsia. Hu ML, Wu KL, Chuah SK et al. Nine patients with functional dyspepsia were studied on separate two days in a randomised, double-blind design. Following a fast of 8 hours the patients took capsules containing a total of 1.2 g of ginger (Zingiber officinale) root powder or placebo. One hour later they consumed 500 mL of low-nutrient soup. Antral area (bottom of stomach, nearthe duodenum), fundus area (top, near the oesophagus) and diameter, and the frequency of antral contractions were then measured using ultrasound at intervals over 90 minutes. The gastric half-emptying time was calculated from the change in antral area. Serum peptides (glucagon-like peptide-1, motilin, ghrelin) were also measured. • Gastric half-emptying time was significantly less after ginger than placebo (11.9 minutes vs 21.1 minutes), and the frequency of antral contractions was significantly greater. Antral area decreased more rapidly. • There was no difference in fundus dimensions, serum peptides or gastrointestinal symptoms. Ginger accelerated gastric emptying and stimulated antral contractions in patients with functional dyspepsia in a preliminary investigation. A randomised, placebo-controlled clinical trial conducted in Iran investigated the use of ginger for the treatment ofasthma. Patients were recruited and spirometry readings were taken. After one month, 92 patients received either ginger (tincture, containing 150 mg of rhizome, every 8 hours) or placebo. After two months they were evaluated again. The results indicated that ginger was effective in reducing asthmatic symptoms but had no effect on the severityof the disease, as assessed by spirometry. Those receiving ginger had fewer nocturnal coughing attacks, fewer dyspnoeic attacks and reduced usage of spray medication. The reduction was significantly different from that experienced in the placebo group (p<0.05 for each parameter). The authors noted that the prescribed dosage (about 0.5 g/day) was below the standard therapeutic dose of 1–4 g/day.